This isn’t the first time I’ve featured fine trashcan-makers simplehuman on my blog, but this time, it’s actually beauty-related! simplehuman are probably most famous for their excellently engineered stepcans and precision bin liners (I swear, they’re awesome), but they’ve since branched out into other household goods. 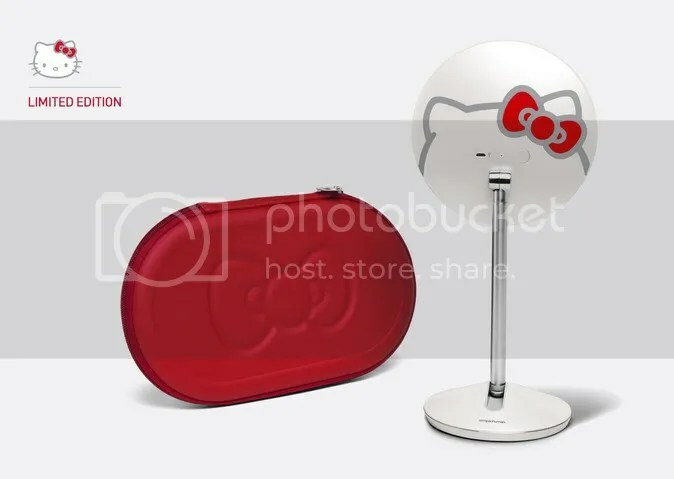 They’ve just released a limited edition Hello Kitty 5″ Sensor Vanity Mirror! The mirror lights up with fancy LEDs and everything. It also seems to comes with an adorable red Hello Kitty-embossed carrying case. 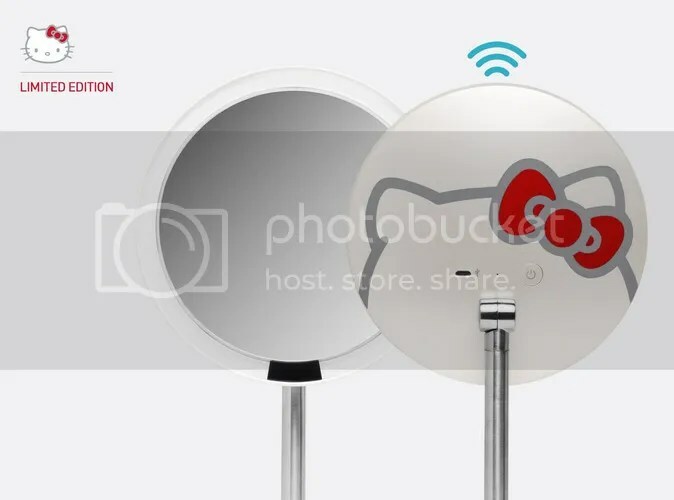 The 10x mirror comes with a 5-year warranty and is cordless (one charge via USB lasts up to 5 weeks). The MSRP is US$150. Sounds like a great holiday gift for a makeup fiend who has it all! I NEED THIS. omg. I’m putting this on my Christmas wish list pronto. It was a great idea for them to do a special release with HK! Stop! This is amazing. Mine looks so boring next to this!